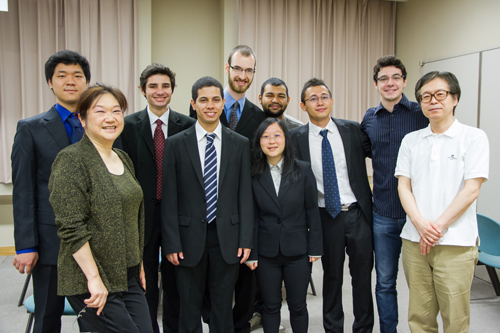 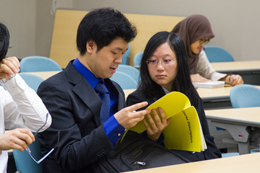 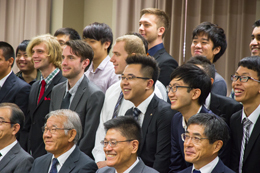 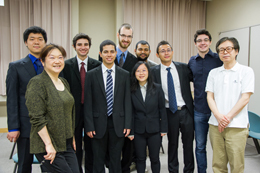 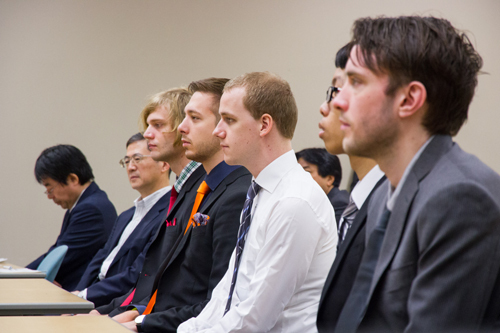 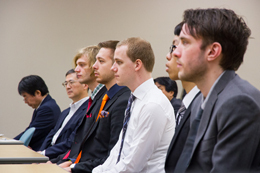 The entrance ceremony of fall semester was held on October 7, 2014. 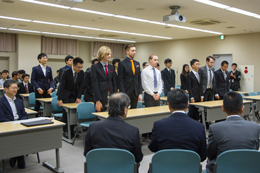 Newly-enrolled students are 12 JUSST students*, a student who was sent by Japan-Korea Joint Scholarship Program and 4 SwoB* students sent by Brazilian government. The president, Professor Fukuda expressed his welcome and told them the history of UEC. 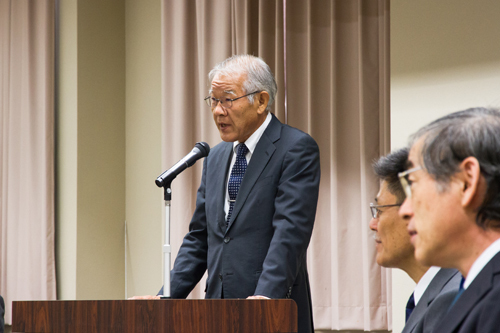 “You should develop your knowledge through friendly competition and take a global perspective on the issues.” Professor Fukuda encouraged the students.